The internet is a massive place full of unimaginable amounts of content and data. It’s also an explosive space that literally influences the decisions we make, the values we carry and the lives we lead. So with all that information floating around, how do you create order to the chaos? Luckily, we’ve got that handy sidekick Google to sift through and act as a filter. And it’s methods for establishing sense out of everything is done through ever-changing algorithms that help sort one URL from the other. While the algorithms that Google implements are complex and constant, there are smaller factors that also come into play. One of those are keywords – probably the most talked about term in search engine optimisation (SEO) out there. Ultimately, keywords are phrases users put into a search engine to then get a list of results. Those that are used frequently pull a high volume of traffic, meaning relevant businesses will target those phrases on their website, in order to take advantage of these user demands. When you’re trying to pull traffic through to your site, there’s two main roads to take: organically or through paid methods. Organic traffic comes from SEO efforts – usually as a result of someone clicking on your website in a list of search results they received. Paid tactics, on the other hand, mean you’ve invested money into receiving the visitor to your website – think Google AdWords or sponsored social media promotion. 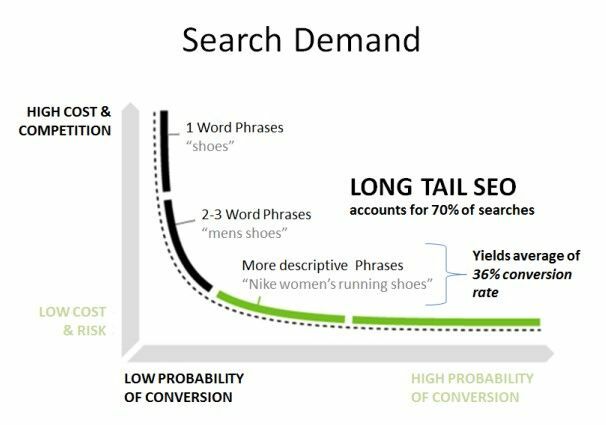 Long-tail keywords: these search terms are often the longer combinations that you’ll come across, and feature several words in one string. For example, a user may search for “best mechanic in Melbourne” as a long-tail keyword. These queries are often much more specific and show a clear intention from those who put them into the search box. The user is demanding a certain answer. Singular keywords: the much broader, single-word keywords are those that pull high-volumes of search queries. These are often words that can define your overall products or services, and aren’t niche. For example, a user might search for “clothes” or “jewellery” as a singular term. Naturally, these can be much harder to rank for, as they attract large amounts of competition from other websites. This might seem like a lot of jargon to get your head around, but the concepts are basic in essence. The other definitions you need to keep in mind are primary and secondary keywords, which act as the set of main terms that relate to your business, and those that fall next-in-line. Combining all this brings you a healthy looking list of search phrases that can help your website rank higher in search engine results pages (SERPs), and hopefully above competitors. Unfortunately, throwing these phrases all over your website doesn’t mean you’ll instantly rank at the top of page one on Google. SERPs are complex, fluid things – as websites update their content and user behaviour shifts, so too do search results and rankings. That’s why it’s critical to frequently update your content to include the most relevant, realistic and achievable keywords. The primary way to establish better rankings on Google is to optimise your website carefully. That’s a whole other beast, filled with lots of little efforts that form your SEO strategy. 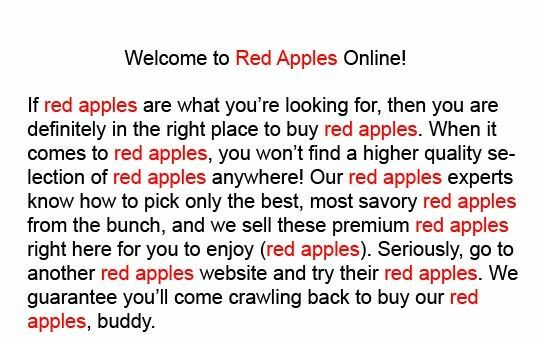 But one of those steps is strategically including keywords throughout your pages, in a natural and effective manner. Previously, spamming keywords (otherwise known as ‘keyword stuffing’) across your website was the sure-fire way of getting on top of SERPs. But as Google algorithms shifted and its bots (the crawlers that look through your website) became smarter, the importance of quality content grew. That means plastering keywords through all of your text is a big no-no now. For smart SEO technicians, creating a powerful content strategy is one of the ways to naturally optimise a website with keywords. This means allocating relevant and effective search phrases to each page on your website that you wish to target, and establishing content pillars around these words. Typically, your homepage will feature the broader, more primary keywords in your campaign, while inner pages (like services or category pages) will include secondary ones. Essentially, keywords can act as a great basis for your content strategy, which should then be tailored to what your customers and visitors are searching for. If you already have a good amount of compelling and helpful content on your website (that hasn’t been copied from another URL), this may mean incorporating your new set of keywords into it all – which is where the SEO wizards come in. There’s no one way to choosing the best keywords. Some technicians will use tools like Keyword Planner to research what phrases are best suited to a website, and whether they are achievable enough to rank for, or if they’ll even convert into quality leads. But while tools can help to determine what keywords are trending in your industry, it’s also important to think human and consider the person on the other end of the screen. They are users with a question in mind – so what are they most likely to ask? Above all, knowing what keywords to use also comes down to carefully mapping out all all the types of services, products and information that features on your website. What are the most common words that pop up, or even themes? These are also likely to help you develop pillars for content and a basis for keyword research. Don’t go overboard: stick to placing keywords where they matter most, and more importantly, where they read naturally. Don’t spam them throughout all the text on your website. That’s a great way to end up in Google’s bad books. Give all pages unique keywords: having one big umbrella of search terms for all pages on your website won’t cut it, unfortunately. It’s important to have an SEO expert analyse what unique phrases will work for each URL you would like to target. Keep it all updated: algorithms change. In fact, Google alters 500-600 times a year – so you can imagine how important it is to keep your website updated and keywords checked...and checked again. Having an expert on hand to help you develop an SEO strategy is the best way to move forward. The nature of this field is a huge web of technical jargon and tricks, which means having a sidekick to help you roll it all out is a must. Find out more about incorporating SEO into your digital marketing by contacting a Havealook expert on 1300 367 009.